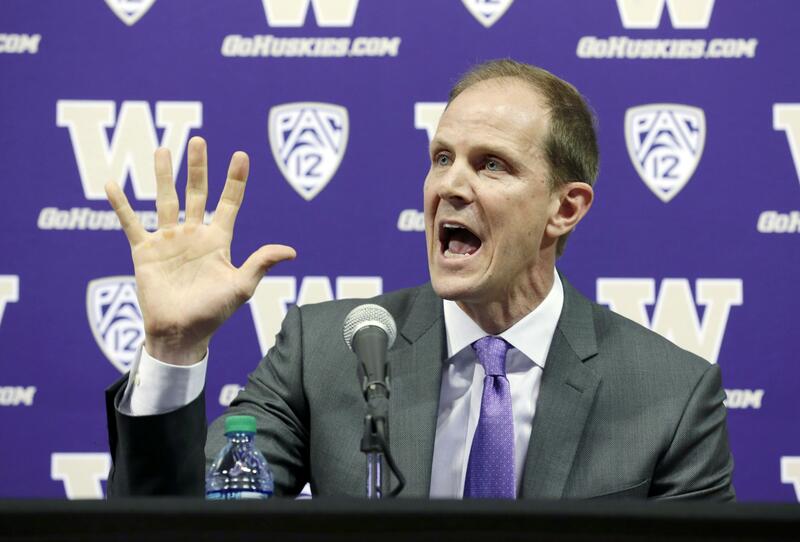 Sun., June 25, 2017, 6:54 p.m.
For the second time this month, the Washington men’s basketball team added a touted wing from New York, and it appears new Huskies coach Mike Hopkins beat out his former team to secure one of the hottest prospects of the summer. On Saturday night, Washington signed Hameir Wright, a consensus four-star prospect from Albany, who is rated 72nd nationally by Rivals, 80th by ESPN and 89th by Scout among 2018 prospects. The 6-foot-7, 195-pound small forward had intended to play for Brewster Academy in New Hampshire next season, but chose to reclassify and is eligible to play in 2017-18 for the Huskies. Wright reportedly received offers from Villanova, Maryland, Michigan State, Miami, and Syracuse, where Hopkins had been an assistant for 21 years before UW hired him. “I am honored to announce my commitment to Coach Hop and the University of Washington,” Wright posted on his Twitter account, which included pictures of him wearing a No. 24 purple UW jersey while posing with Hopkins and the Huskies’ coaching staff. Wright was named the New York State Gatorade Player of the Year after averaging 16.7 points, 9.1 rebounds, three assists and 1.9 blocks last season at Albany Academy. Washington had not been linked to Wright during his high-school days, but the Huskies – or rather Hopkins – swooped in at the 11th hour. Wright visited UW this weekend and signed a letter of intent Saturday. Two weeks ago, UW signed Nahziah Carter, a four-star shooting guard from Rochester, N.Y. Published: June 25, 2017, 6:54 p.m.